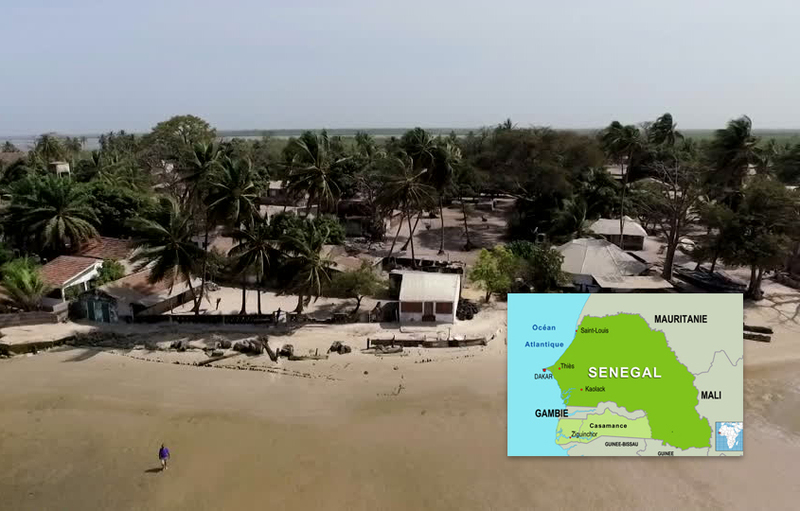 The Casamance region is in the southern region of Senegal which, although connected in the East to Senegal, is separated from the rest of Senegal by the Gambia. The Casamance Conflict is a low-level conflict that has been waged between the Government of Senegal and the Movement of Democratic Forces of Casamance (MFDC) since 1982. History reveal that Cassamance was once colonized by the Portuguese before they moved to Guinea Bissau as Senegal was colonized by the French likewise The Gambia too by Britain. The Portuguese signed a document with the people of Cassamance stating their regaining of independence from Protugal. When the Portuguese left for Bissau, the people of Senegal then advised the people of Cassamance to give up their documents in order to join together and form one government till later, since Cassamance lacks the expertise and know how on running a nation. Which the people of Cassamance did without as per request since they are neighbors. After a while, renowned freedom fighters by the names Emil Bajan & Jamakun Senghore realized that there was once an agreement as per the handing over of documents for the freedom and the liberation of Cassamance for independence. Both Emil Bajan and Labe Jamakun Senghore asked about the wear about of the document to the Senegalese President then Abdou Joof in order to facilitate the Independence of Cassamance. During the struggle for the freedom and independence of cassamance at the initial stage, Labe Jamakun Senghore was injected which results to his death, as he was challenging the Senegalese to give him the signed documents. Then, Emil also took up the challenge and struggled extremely hard for Cassamance and its people to regain Freedom and Independence as per the agreement made by the Purtuguese too. In the struggle he was seen as a treat to the Senegalese too and that also lead to his death. As a result to which inspired the people of Cassamance fighting for their independence remains an untold story in Africa. In 2006, there exists a bilateral agreement between the President of Senegal, then Abdoulie Wade and the rebel group with the object of laying down arms and join together to form one great Senegal. But then, some of the rebels thought it wasn’t a great idea to abide by the proposal brought forward by the Senegalese government which led to division among the rebel groups as they have different aims and objectives in the struggle. Those various divided groups were led by Sirlif Sarjo, Kamugai Jatta, and Paul Sambou etc. But among all groups, the one led by Sirlif Sarjo became the strongest group with the strongest motive of leading Cassamance to independence at all cost resulting to war for decades. Sirlif became the headache of the Senegalese since he stands firm and mastermind the revolution that is still fighting for the liberation of Cassamance with his rebel group named MFDC. 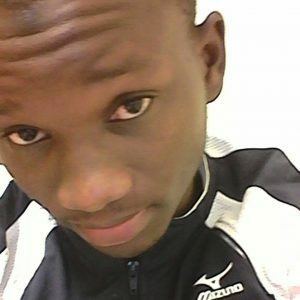 Sirlif is a reasonable man who drew my attention the day he released about eleven arrested Senegalese soldiers during the brutal invasion. The event was then witnessed by the Gambian government under the leadership of President Yahya A.J.J. Jammeh and Amnesty International. He spoke at length about the purpose of their existence claiming that the Senegalese government only sent the natives of Cassamance residing in the Senegalese forces to invade Cassamance resulting to brothers picking up arms and fighting against each other. Sirlif further stated that since the rebellion was formed, known of the international Medias went to Cassamance to ask about what conspired between them and the Senegalese people but rather depends on the information provided by the Senegalese which he strongly advocated that would not end the war in Cassamance. He also opened rooms for dialogue to end the long existing chaos that Cassamance is subjected to for decades. This war between the rebels of Cassamance and the government of Senegal started long since and the cassamance people would never stop until they regain what rightfully belongs to them. Who feels it, knows it, the people of Cassamance are subjected to pain and agony, brutality and corruption from the Senegalese government. Some days in history, the Senegalese government invaded Cassamance capturing and killing innocent women and children calling them rebels, burning down houses to ash, destroying their animals, louting their resources and other sources of living. This is when the revolution was mastermind by Sirlif to protect the integrity of the people of Cassamance and they revolved against the Senegalese forces which lead to the death of many. The Cassamance story is very sad as a good number of people lost their lives and property, thanks to the Senegalese government for their brutality, subjecting innocent women and children to vacate seeking for refuge in nearby countries. The real trick to good governance is to place the needs of the masses above everything else; to lead not just with words but with action. Actions define priorities. It’s the only way politicians can successfully bring us the long sought dividend of democracy. It is time for all Africans to come up with tangible solutions in order to safe Cassamance. What this tomorrow looks like depends on our action today. But using our voices on paper, exercising our power and demanding action through nonviolence can help restore peace in Cassamance. NOW ! !.